Let Us Show You How We Can Take The Worry Of Your Pressure Washing Off Your Plate! The clutter and stains can cause a client to drive right past your shopping center to find somewhere else to spend their money. With the concrete pressure washing services provided by Warrens Power Washing, you can rest assured your business will look appealing to all your potential clients. Keeping your shopping center clean and inviting is what the team at Warrens Power Washing does best. Let them work out a regular maintenance program for your concrete pressure washing and cleaning services so that you can always have confidence your shopping center will make a great impression. Call today to set up your appointment to discuss what services your shopping center needs in Marion or Citrus County. Warren’s Power Washing is a family owned and operated, it has been a stable member of the Citrus and Marion County communities since 2008. Jason Warren has a great understanding of the local comm service the Ocala, Dunnellon, Belleview, Citrus Springs, Marion County and Citrus County areas respectively. 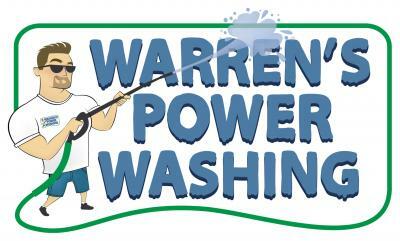 Check out our website for a full listing of our services https://www.warrenspowerwashing.com/. Give us a call 352-489-3339 for a free estimate. If you want to attract quality tenants to your apartment complex, you need to make a good first impression. From the moment your potential client drives up, they need to see a clean roofline, clean walkways and sidewalks, and clean areas around the building. No one wants to move into an apartment complex that is dingy and dirty looking from the first impression. That is why it is critical that you employ apartment complex pressure washing services like the ones that Warrens Power Washing provides. Our team can help you keep your roof looking clean and fresh on your Marion county or Citrus county apartment complex. By making sure that mold and mildew are cleaned off on a regular basis, you can attract the quality, long-lasting tenants you’re after. Our team uses patented and powerful cleaning solutions that will help to remove the mildew or mold and keep it off longer than just a normal wash can do. Your sidewalks and walkways should be clean and free of unattractive stains. With our pretreatment and post-treatment of your concrete, you can trust that your sidewalk will be stain free and look great for all your first-time visitors. What does your signage outside the apartment complex say about your complex? Is it old and dingy looking? Do you see stains and mildew? Then it’s time for apartment pressure washing services to help you make a great impression. The highly experienced team will come out and make sure your sign is looking brand new in no time. We understand that our work impacts not only you but your customers as well. We pride ourselves on giving you the top-quality apartment complex pressure washing your building deserves. We want to help you obtain the clients you’re after and we can do that with our pressure washing and cleaning services. Keeping your gas station clean and welcoming to clients is key in making sure that your customers keep coming. First impressions are important, and they can either make or break your business. By obtaining gas station pressure washing services from Warrens Power Washing, you can make sure that your store is always welcoming and inviting to all clients. When it comes to your gas station in Marion County, you want to make sure that you take care of concrete or parking lot stains on a regular basis. Hard water or spills on your concrete can leave stains that are unsightly and can deter customers from using the store. By utilizing gas station pressure washing services in Marion County, you can alleviate that issue. Using a pretreatment and post-treatment if necessary, our team can get rid of the unattractive stains that may be on your sidewalk or concrete areas. We can help you to maintain a nice and clean environment that is inviting to your customers. Consider what your store itself says to clients. Does your roof look dingy with mildew or mold on it? How about your signs outside? Do they have dingy and dirty looks to them as well? How can you make a great impression if your signs are not welcoming? Our highly experienced team can help you bring new life back to your Citrus County or Marion County gas station. With our professional grade cleaning solutions, we can bring your business back to life with our gas station pressure washing services. We can clean the mildew that Florida humidity can bring about off your roof line while protecting any vegetation you may have as well. Make a great first impression with your gas station clients by hiring Warrens Power Washing services today. Let us make sure your station is always ready to go and looking amazing! When it comes to presenting the best look of your restaurant, you want to work with someone who knows what they are doing. Presenting a clean and crisp exterior is just as important as the interior of your business. When you work with the team here at Warren’s Power washing, you’ll receive the best-of-the-best in restaurant pressure washing services. Jason has been in the restaurant industry for most of his life and he understands what it takes to meet health safety standards. Cleanliness is key when you’re facing health inspections and Jason guarantees your restaurant will be up to par and beyond. Cleaning a restaurant or food service industry location is a lot more stringent than cleaning other businesses. You must have your restaurant areas sanitized as well as clean so that you can continue operating and winning customers. You want to know that when you hire restaurant pressure washing services that you’re going to have a pristine clean every time. With the Warrens Power Washing service on your side, you can face any health inspection with confidence. The highly trained and expert Warrens team will arrive at your restaurant when it is convenient for you. We do not want to interfere with your daily customer business, so we work around customers and around your schedule. Our team uses very hot water to make sure things are handled properly and a professional grade cleaning agent that will make sure your location is spotless. We also make sure that other areas are clean as well such as dumpsters and back step areas. We also help you to make sure that those areas such as the steps and floors that are typically slippery are cleaned to prevent falls or injury to your employees. Contact Jason today to get an estimate on pressure washing services or a personalized maintenance schedule for your Marion or Citrus county restaurant. Running a warehouse and dock area can be strenuous work. You have to manage the employees, but you also have to maintain a clean and safe work environment. That includes hiring dock and warehouse pressure washing services to make sure your location looks clean and is conducive to a productive work environment. One way to do that is to hire the experienced team at Warrens Power Washing service. With several years of experience, our team knows what it takes to make sure your dock and your warehouse are presentable and safe for all involved. In Citrus and Marion County, humidity plays a huge role in the way a building and the concrete can look. It can cause signs to become dingy and dirty looking due to mold or mildew growth. The concrete itself can develop stains over time from spills on the job or hard water leaving rust stains. The dock and warehouse pressure washing services our team provides can help you to maintain a clean and inviting environment at your location. We use a professional grade cleaner that has been tested out in various conditions to remove stains and reduce mildew growth. We start at the roofline making sure your roof is clean and free of mildew. Our cleaning system also means that the mildew will not grow back as quickly as it does with other, less powerful, cleaning systems. We also clean signs to make sure that the first impression your clients get from the road of your business is a good one. Whether you need your dock pressure washed to remove stains or your signs and roof need to be cleaned on the warehouse, our team has you covered. Call Jason today to set up an appointment to discuss your regular pressure washing maintenance needs. We can set up a schedule to work around your business and to make sure you always make a great first impression. See how we can fit a maintenance plan into your budget today!